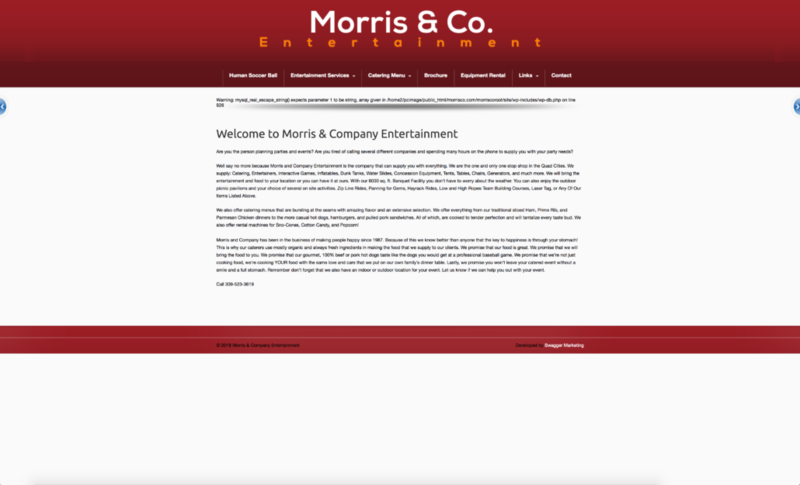 Website Design & SEO for Event Rentals Website | Morris & Co. Sometimes we find duplicate content on a website, but this is a case where we found two older websites and a broken and hacked newer website running an outdated WordPress installation and 5.2 PHP. 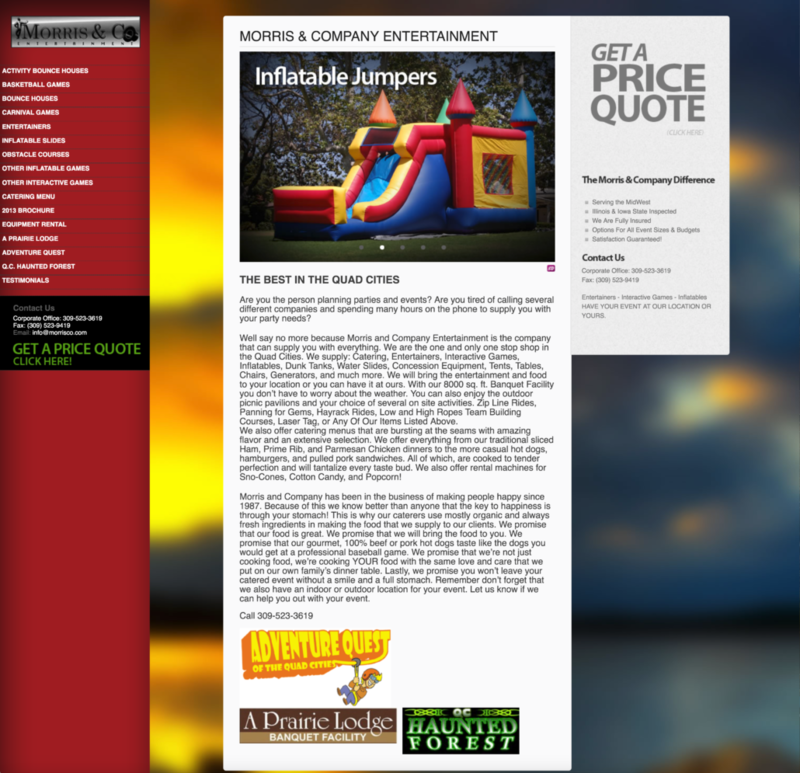 Below are the three live and active websites that we replaced with our new e-commerce “Get A Quote” style website. We found PHP issues so images wouldn’t load. Plus, multiple hacked blog posts due to the previous website designer not keeping up the WordPress installation. We were somewhat shocked this website was still indexed by Google. 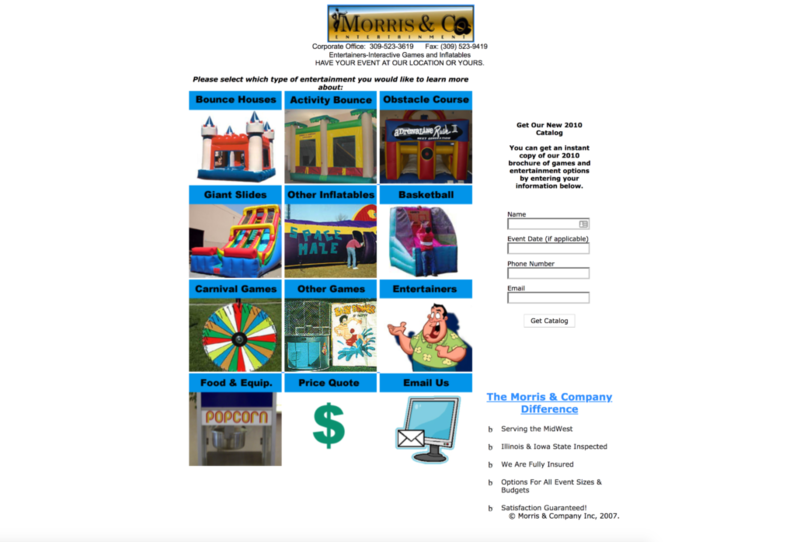 Our client asked for a website that could be found better online. 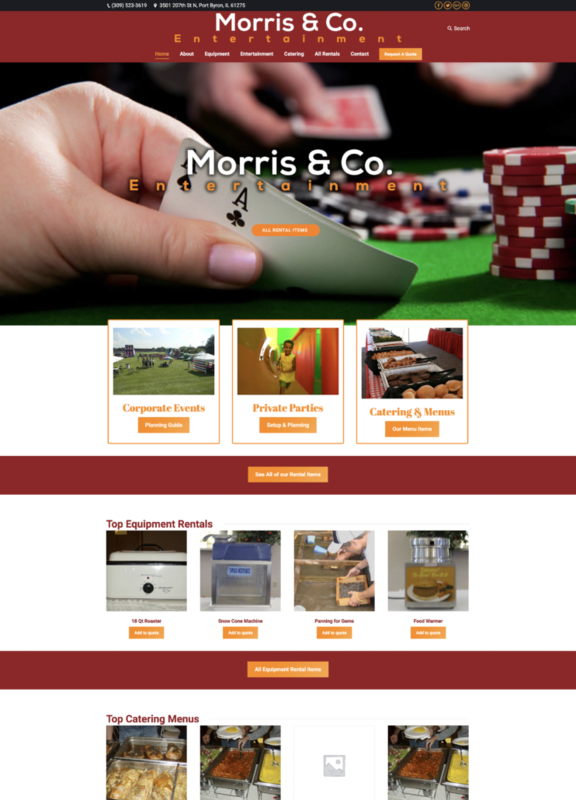 We delivered with a far superior looking website than even he thought possible. We also solved the solution by emailing him people’s price quotes from his website. Seeing that this website just launched, we are expecting this year to not be his most profitable year due to the delay with Google. But we expect 2019 to be the best year in a long time! The previous website designer (SwaggerMarketing.com currently his website is down due to being hacked) did a disservice on not having the website located at the proper URL. The URL was http://www.morrisco.com/morriscoroot/site/. We thought this was crazy until we went to Swagger Marketing’s website and found that he did the same for his own “business” website. Clearly, this web designer doesn’t know what he is doing and our client suffered financial loss as a result.